What to have for that chocolate afternoon snack? Blondie or brownie? These are life’s most important decisions…. I recommend you try both healthy recipes and decide for yourself. Eating delicious baked goods is a hard job, but someone must persevere and nosh. 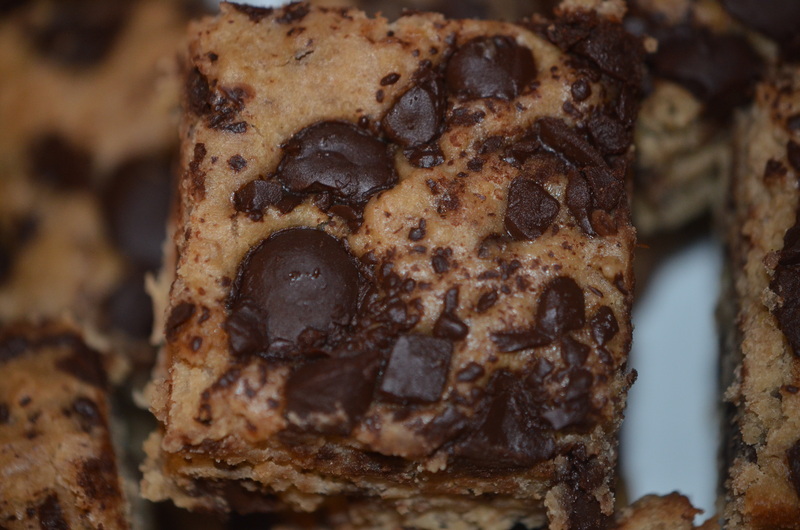 Of course, even the blondies are loaded with dark chocolate. They have a nutty flavor from tahini, plus an extra protein punch derived from a super-secret, stealthy plant-based ingredient. The delicious pastry is infused with essence of warm spices and are naturally sweetened. 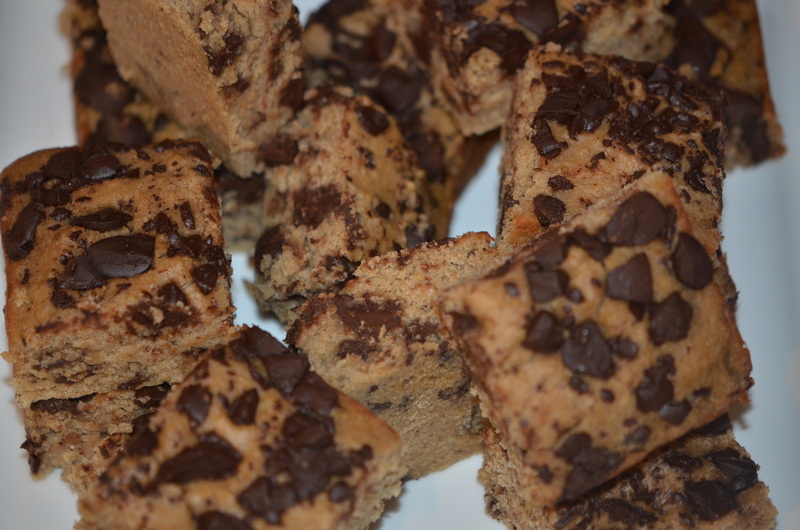 If you are gluten-free, these are a wonderful and easy go-to dessert. 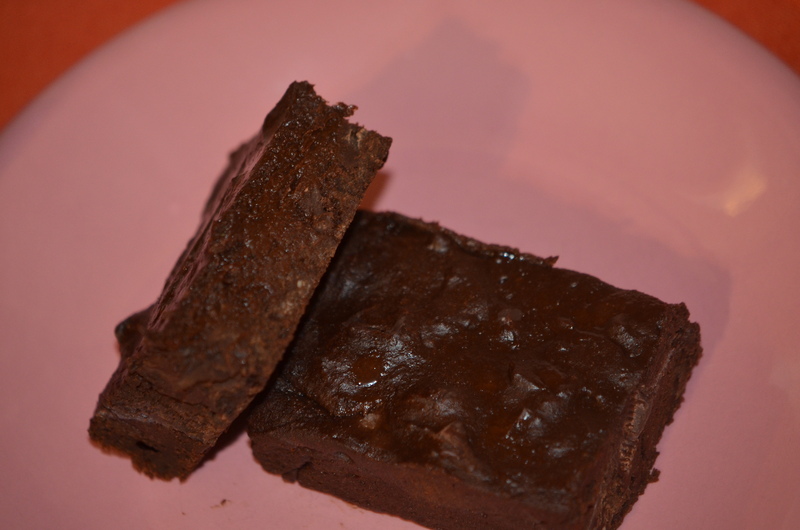 Deep, fudgy brownies are equally tempting. The key is to use six ounces of organic, rich 72% dark chocolate with almonds and sea salt in the batter and sprinkle of crunchy, flavorful sea salt on top. If it’s a decadent chocolate fix you need, these will quench the cocoa appetite of even the biggest chocoholic. I would know; these were my breakfast one morning. No need to wait for afternoon tea. You’ll never know that they are light and gluten-free. Lots of high quality, earthy dark chocolate is incorporated into the batter. Of course. 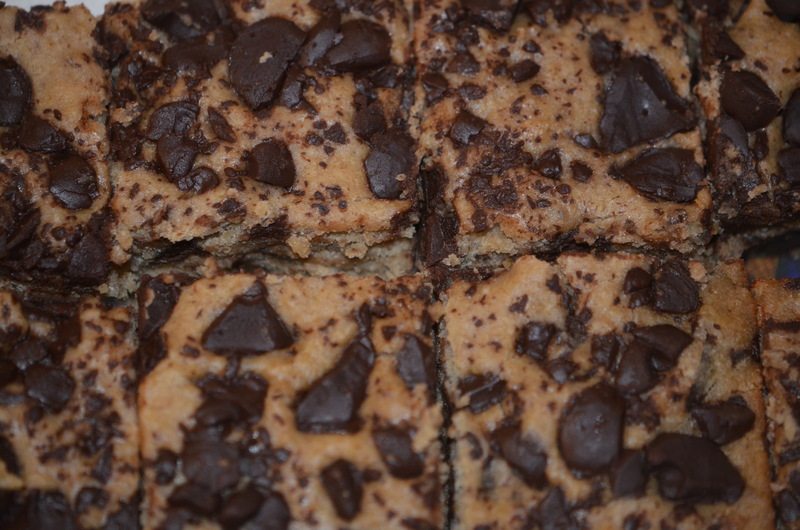 Apparently there is a food divide between the blondie and brownie folks. 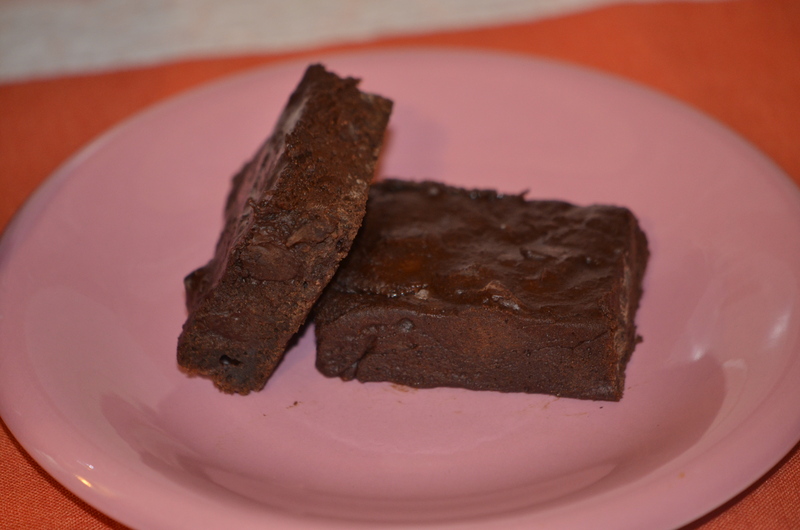 Chocolate-obsessed eaters prefer brownies. 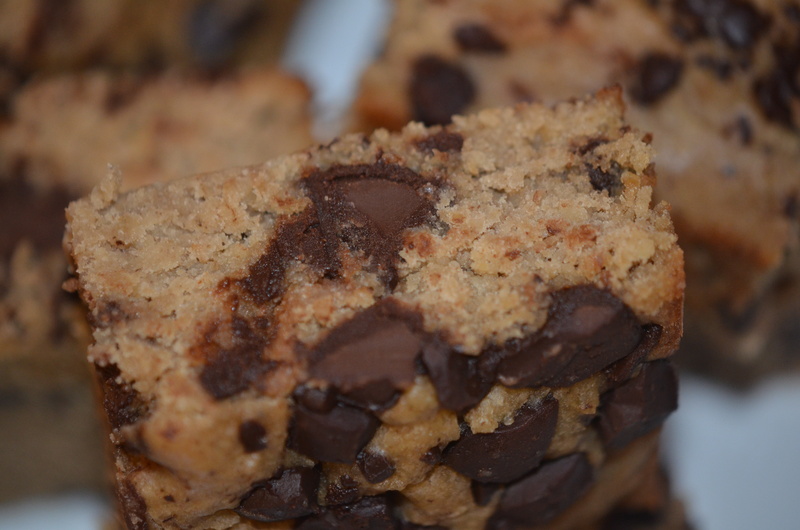 Those who would take a warm chocolate chip cookie anytime, anyday reach for a blondie. Me? I’m an equal opportunity eater, as long as chocolate is involved. Spray a nonstick pan well with coconut oil cooking spray or grease using any oil with a high smoke point. Combine all of the ingredients, except for the dark chocolate, in a food processor.Process until the batter is very smooth. 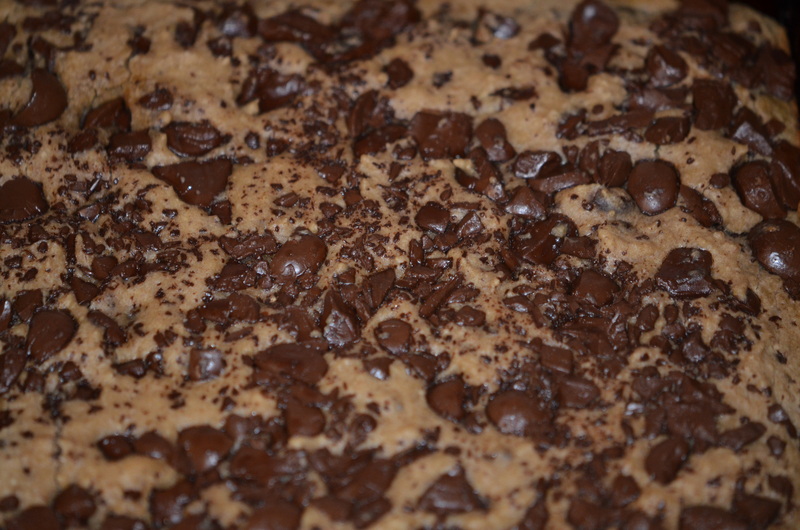 Fold in most of the chocolate chips, reserving three tablespoons to sprinkle on top of the batter. Spread the batter in the prepared pan, taking care to smooth out the top. 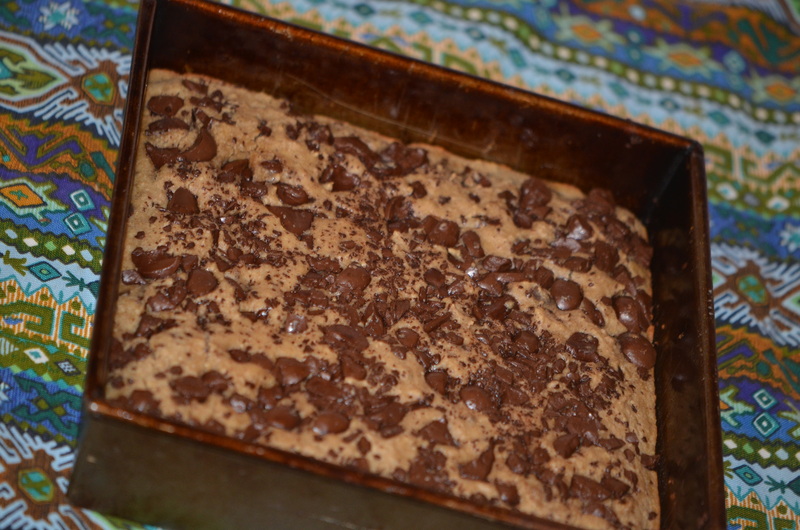 Sprinkle on the reserved chocolate chips and the sugar in the raw evenly over the batter. Bake for 20 minutes. A toothpick inserted in the middle of the batter will come out clean when baked through. Cool for 30 minutes on the counter, then in the refrigerator for another hour. Then, cut into sixteen squares. Store in an airtight container in the refrigerator. 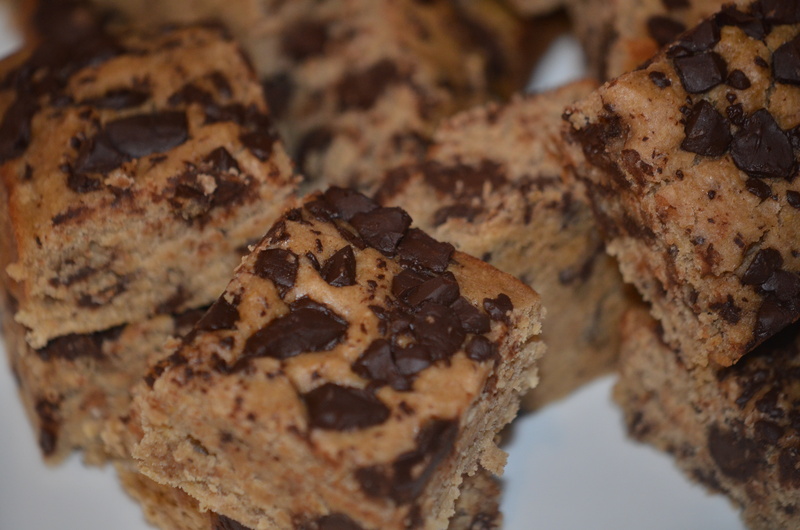 Combine all of the ingredients, except for the dark chocolate, in a food processor. Process until the batter is very smooth. 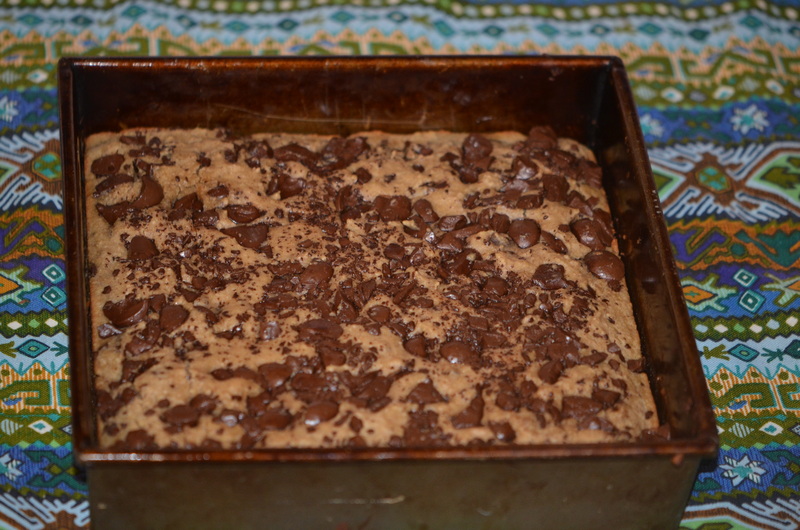 Fold in most of the chocolate, reserving three tablespoons to sprinkle on top of the batter. 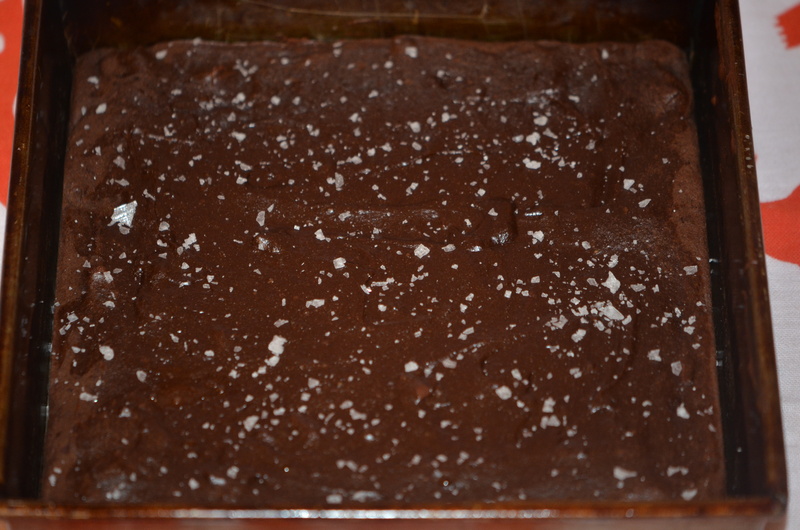 Sprinkle on the reserved chocolate chips and the sea salt evenly over the batter. 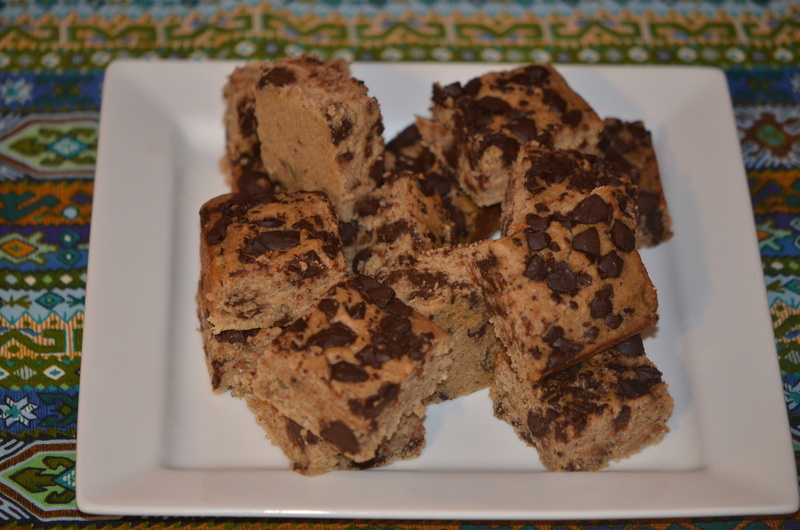 Posted in Chocolate, Dairy-Free, Gluten-Free, Healthy + Sweet Treats, lactose-free, veganTagged almonds, banana, beans, blondies, Brownies, dark chocolate, Food, fudgy, gluten-free, Recipe, Sea salt, tahini, veganBookmark the permalink. 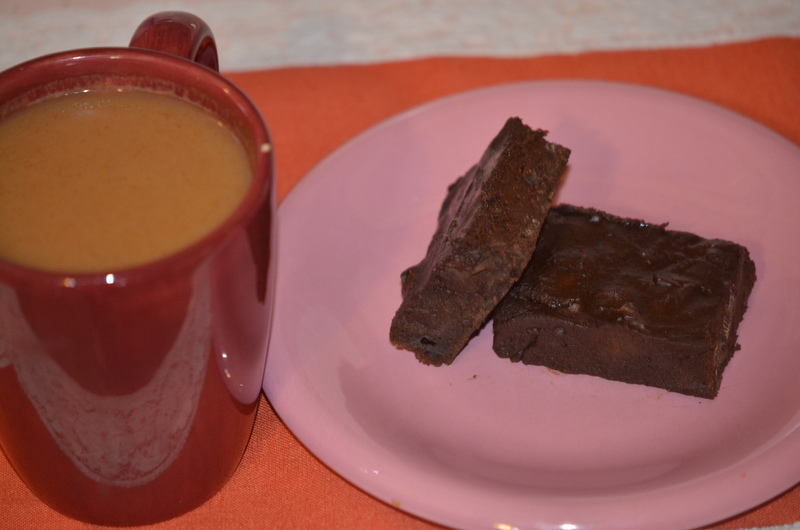 Both recipes look good–especially since they both have chocolate in them! wow–I’ll take both! These look amazing Shanna and WOW that they could be considered healthy. Truly decadent. Loving your photos. Swoon swoon swoon. This is so interesting Shanna! I’m very intrigued and I’m going to make these this weekend. Love the ingredients. They look delicious. I’ll bet your family doesn’t have to make a choice. Cannelini beans – tahini – OOH I love you Shanna (in a platonic food obsessed type of way of course :))- mashed bananas – this has to be one of the most healthful indulgences I have come across in ages – and i just so happen to have bought some cannelini beans from the Italian store – will I make them – well I am very tempted to give them a go – and send most of them with Mr Polianthus to work – I imagine they would make a great addition to ice cream too – in a cookie dough type of way….yum! Hugs to you and yours, with thanks (and a Pinterest pinning or two!!). I own that cup4cup flour! Haven’t played with it for a long time. Thanks for the reminder. If I had a gun to my head I’d pick the first brownie!!! Two more delicious recipes! They both have chocolate so you really can’t go wrong in my book. I like chocolate but not tooooo much so I’ll go for the blondie!